Wedge "veggies" Antilles, the Ace of the New Republic. A hard man that has grown up fighting evil of the empire. if you know who Wedge is you've heard everything there is to hear.. except why I put him here. He is the survivor token as Gorge Lucas made him to be. He is the only person to see every Deathstar blown up. But more then that he is till a common soldier with the same goals as everyone else fighting in the alliance is, was, and will be fighting for� Peace. Fighting for what you believe in is a hard choice to make, but there are some that do it and even fewer that can live doing it. 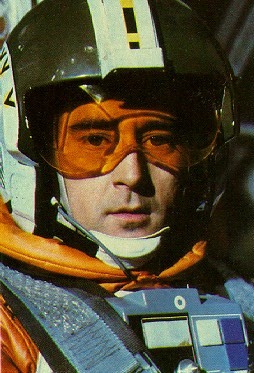 Wedge Antilles is a hero in the word and for once this hero didn�t come back in a box.